The style and type of finishes at a building can show its age. 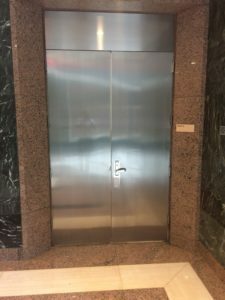 Updates to a building’s façade and lobby can bring new life to an older building, but replacing existing finishes is expensive and may not be in the budget. Refinishing these materials can give the appearance of new at a fraction of the cost. 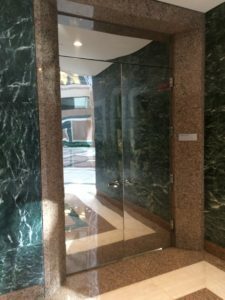 Dated polished bronze in the lobby? Convert to Satin and/or Oxidize for a more modern look. Hazy & distorted mirror stainless steel? Convert to an even satin finish. Dark wood paneling & trim? Refinish to a lighter color. High polished stone floor? Convert to a honed, matte finish. Faded, Chalky, or odd color window frames? Paint to the color of choice. Contact us today for more information, or to schedule a lunch and learn for your team.